I am able to describe my experience in Sri Lanka with the same ease and ability as someone who is trying to explain what a colour is to someone who cannot see. 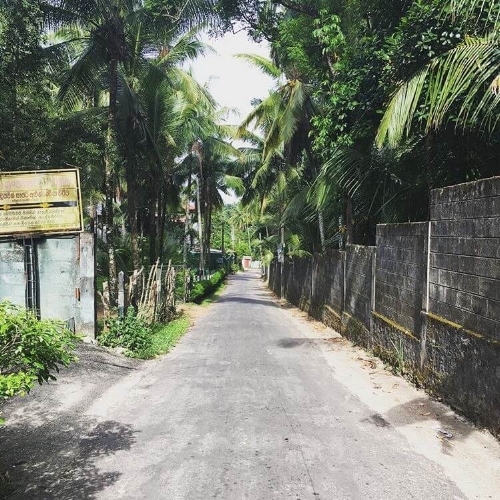 It may sound cliché and slightly predictable to say that taking part in a Mental Health placement in Sri Lanka changed my outlook on life, but, as difficultly as I can tell someone what the colour purple is, I am going to try to explain what my psychology volunteering in Sri Lanka meant to me and the start of my career. As a psychology student, you don’t get many opportunities to apply your academic knowledge to real life situations. You are rarely able to experiment and test your boundaries as to what you can endure and what you can contribute, and in my second year, I found myself needing more. Not just more experience, more drive, more motivation to succeed and to put myself out there and show the world that I could do it. I am still not sure what it really was, but Sri Lanka was definitely a starting point to figuring it out. I remember the day I got accepted onto the placement and I told everyone with the same excitement I had when I was a young girl and Christmas morning came - up until that point I think it was the proudest day of my life. I hustled, I worked and fundraised because I knew deep down it was worth it. I needed to make my dream happen and, while I didn’t see the need for the large investment there and then, I see it now. Initially, I was most excited about working in the psychiatric facilities, feeding my interest in Clinical Psychology and Criminology. However, to my surprise, I was soon able to develop a passion for Special Needs, and looked forward to working with the lovely men and women who were physically or mentally disabled, but still exhibited a heartwarming interest in crafts, dancing, and, most importantly, the Hokey Cokey. SLV.Global aims to provide support for people who are overlooked by their families, by the community and oftentimes even by themselves. It provides psychology work experience, while in direct contact with people who come from all different backgrounds. You could tell the impact SLV.Global has on the community by looking at the smiles on the service users’ faces when we walked through the doorway. While on placement, you may not be able to see the immediate positive outcome of your hard work, but you will be able to see the change that came as a result of the past volunteers that came before you, and future intakes will see yours. I learned so many valuable skills while on placement, from how to make a paper maché moon for Poya, to how to break down the language barriers in a psychiatric ward, by playing catch with 25 men and nothing but a baseball. The time I spent in Sri Lanka was the most rewarding experience of my life to date. It allowed me to apply notions that I had learnt in a classroom to situations that I didn’t know I was ready for until the moment had already gone. Sometimes the best opportunities come when you least expect them to, but they also come when you leave your comfort zone, start eating curries and travel by tuk tuk.